A selection of Peter Strobos’ work was digitally on display with MyArtspace – Booth A32 at the SCOPE MIAMI 2010 show Nov 30th – Dec 5th, running concurrently with Art Basel Miami. 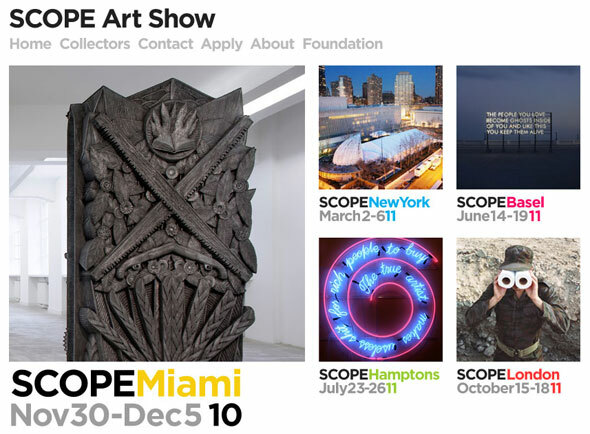 SCOPE is the largest and most global art fair in the world featuring emerging contemporary art with 7 markets worldwide. An impressive list of journalists, writers, museum representatives, collectors and artists were expected at the show. 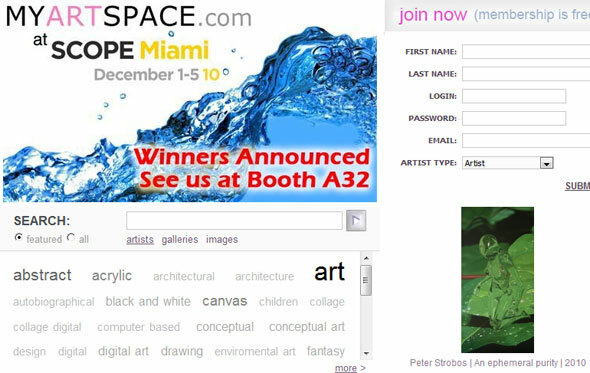 Peter Strobos was selected as a ‘MyArtspace at SCOPE MIAMI 2010’ finalist by Distinguished Jurors: Elisabeth Sussman, Senior Curator, The Whitney Museum of American Art, New York | Jarrett Gregory, Curatory of Contemporary Art, The New Museum, New York | Mollie White, Show Director, SCOPE Art Show | Catherine McCormack-Skiba, Founder & CEO, CatMacArt Corporation. Peter Strobos’ oil on linen painting, An ethereal synchronism, was chosen to represent MyArtspace at SCOPE Miami 2010 in the Exhibitors catalogue and on the SCOPE Art Show website. Below is a partial list of those that had accepted invitations and indicated they would be visiting Scope Miami 2010. The Studio Museum in Harlem (New York), and others. Miami, Florida – The art show that has established its name by curating cutting-edge contemporary art from around the world proudly returns to Miami for its tenth year. Cementing its future with an 80,000 square foot pavilion across the street from Art Miami, SCOPE Miami’s high-profile venue is centrally located in the heart of the Wynwood Gallery Arts District. Running concurrently with Art Basel Miami, SCOPE’s Midtown Miami home is just steps from The Rubell family collection, Margulies Collection at the Warehouse and Goldman Collection. The fair opens to Press and VIPs on Tuesday, November 30 with the FirstView benefit. In over thirty five fairs spanning the past ten years, SCOPE has solidified its position as the premier show-case for international emerging contemporary art. With art fairs in Miami, Basel, New York, London and the Hamptons, SCOPE Art Show has garnered critical acclaim, with sales of over $100 million and attendance of over 30,000 visitors.